Sri Lanka rejected on Wednesday US claims that China might establish a “forward military base” at a strategic port leased to Beijing by the indebted Indian Ocean island nation. The port, situated along key shipping routes, is one of a string of infrastructure projects in Asia, Africa and Europe being funded under China’s Belt and Road Initiative that has rattled the US and its allies, including neighbouring India. Last week US Vice-President Mike Pence said Hambantota “may soon become a forward military base for China’s growing blue-water navy,” according to US media. But Sri Lankan Prime Minister Ranil Wickremesinghe’s office said that there would be no foreign military presence at Hambantota, and that the US State Department had been briefed. 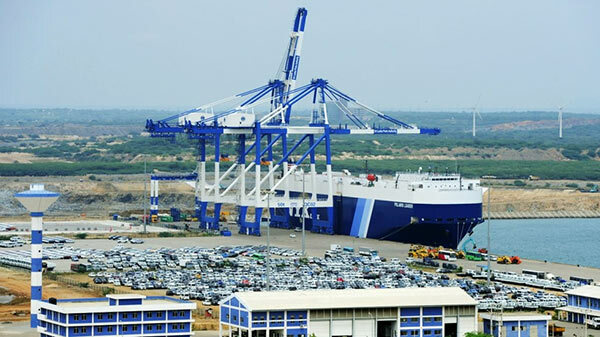 “Our navy’s Southern Command is being relocated in Hambantota to control port security,” Wickremesinghe’s office quoted him as saying in Britain on Monday. Wickremesinghe said Sri Lanka was also concluding a commercial agreement that would see India take over the management of Hambantota airport — another white-elephant project built with Chinese loans under former president Mahinda Rajapakse. Regional superpower India has been concerned about growing Chinese interest in Sri Lanka, which has traditionally fallen within New Delhi’s sphere of influence. At the same time, China has pledged to increase its funding of Sri Lanka’s economy, including through loans, despite the country’s major debt pile.